← The Circle Bar Ranch Coloring Book! Image | This entry was posted in Authors, write tips, Writing, Writing Tips and tagged #amwriting, author quotes, authors, novel writing, write tips, Writing, writing fiction, Writing Tips. Bookmark the permalink. lol…love this! I can see myself in many, ok all of them! Me too, at one time or another. 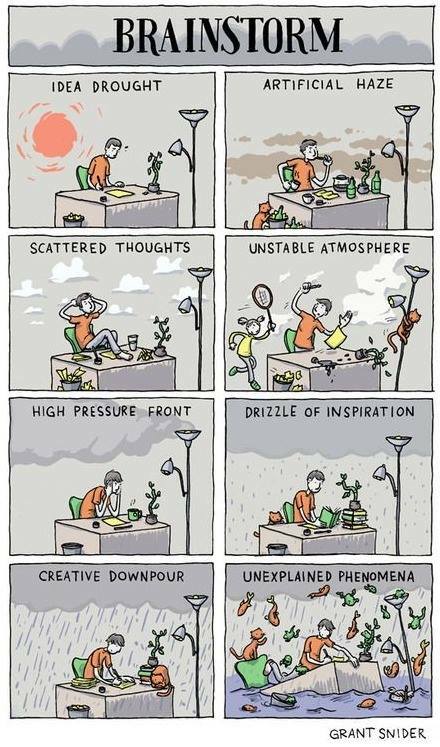 I go through all of them with each manuscript. I wish Unexplained Phenomena was the rule rather than the exception. I’m thinking “unstable atmosphere” for you. But you’re still writing. That in itself is amazing!